When my friend Anjali reached out and asked if I would review her new planner, the Penguin Planner, of course I jumped on the opportunity and said YES! I’m really excited about this planner and love, love, love the daily layout of it. I’m also giving it away which you can learn more about here. Honestly, I love this planner so much that if I’m still not super sold on my current planner (the Day Designer) then I may just switch to this one. It’s that awesome. It was 2014. I sat on our patio in the warm sun in my favorite comfy shorts, as the hot breeze brushed peacefully against my face. I loved this little area of our Boise home. It was contained by high, brown, beaten fence posts for safety and privacy, but allowed enough sunlight to foster green grass and a happy, sweet puppy running around. I did my best to fill the concrete patio space with a variety of flowers, vegetables and fruit. It was where I went when things didn’t make sense, I felt my heart hurting and often too, when my head felt so heavy and like I could no longer hold it up. (It’s no wonder people tell us to keep our heads up when we hit hard times.) It was here, where I would sip my coffee and try to make sense of the modern life that often, at that time, felt more like a catastrophe. I held in my hands a coveted Passion Planner. I had seen a kickstarter for it and related to the creator’s story all too well. She had finished her bachelor’s degree and felt lost. What was next? Where was the next stepping stone for her to move on to? She created the planner to help other people find their way, especially those who found themselves in that foggy post college mist. The planner was cracked open in my lap and opened to the Passion Roadmap. I sat there and stared at what I had just written, slowly feeling both peace and panic. Peace, because I felt like I finally had clarity into making a decision my gut had told me was right. but panic because the outside world had told me this decision was so, so wrong. 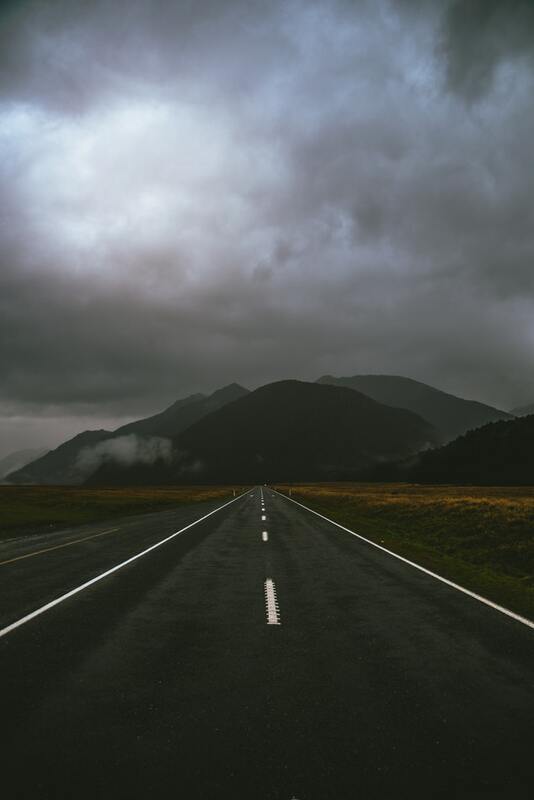 Let me tell you friends, it’s an awful, awful, panicky feeling when you realize that your everyday life isn’t getting you anywhere near to where you want or feel led to go. However, it’s such a peaceful, exciting feeling when you realize you have the power to pivot and make changes to reflect a new path, a different way. It was looking at the Passion Planner roadmap that made me realized the next big step for me was to drop out of college. And I am so thankful I did. I am so thankful I took time to sit down on my patio and face my life. I am so thankful the Passion Planner helped me map out a path for life and help me break down these goals step by step. I am so thankful I broke through my anxiety and got specific about goals, made a plan, create a timeline and work through it. I feel like I live a life that is true to myself and reflects who I am and whom I’m created to be and become. And I am so thankful that when life starts to look fuzzy and confusing, I can print out another Passion Roadmap and get to work. Passion Planner from day one has offered a free downloadable PDF of their planner for anyone to use, in exchange for an email address. 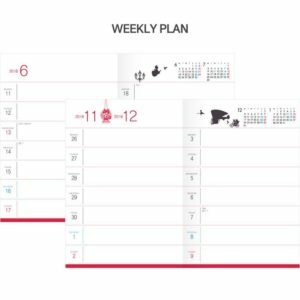 You can get your free Passion Roadmap PDF here and if you want to purchase the full planner you can do so, here! Happy planning! 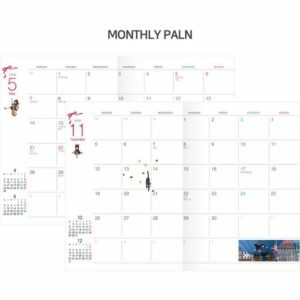 The Panda Planner is a great option for those who are pained by not using a portion of their planner because they only need a planner certain days of the week. All Panda Planners are undated, meaning you can begin using them the moment they arrive! No waiting until the next month, next year, etc. I found the layout of these planners to be very thorough and comprehensive. They include instructions on the first page which I find to be so helpful when you’re beginning to use a new planner! If you note on the monthly layout, you’ll see a small boxed H on each day. This is something very unique to the Panda Planner. This box signifies a daily habit that you’ve been wanting to work on or create. Each day you achieve that habit, you can mark off the H! This planner is very well thought out with it’s pieces that encourage you to pause, reflect on what’s working and what’s not. What did you do well? What needs to change? What’s on your plate? Note that the Panda Planner Pro covers a 6 month span and the Panda Planner Classic a 3 month span. They offer the colors black, orange, purple and blue for each type of planner! I found the durability of each planner to be excellent, along with the elastic strap to be a great option to hold papers in your planner or hook your pen onto it! 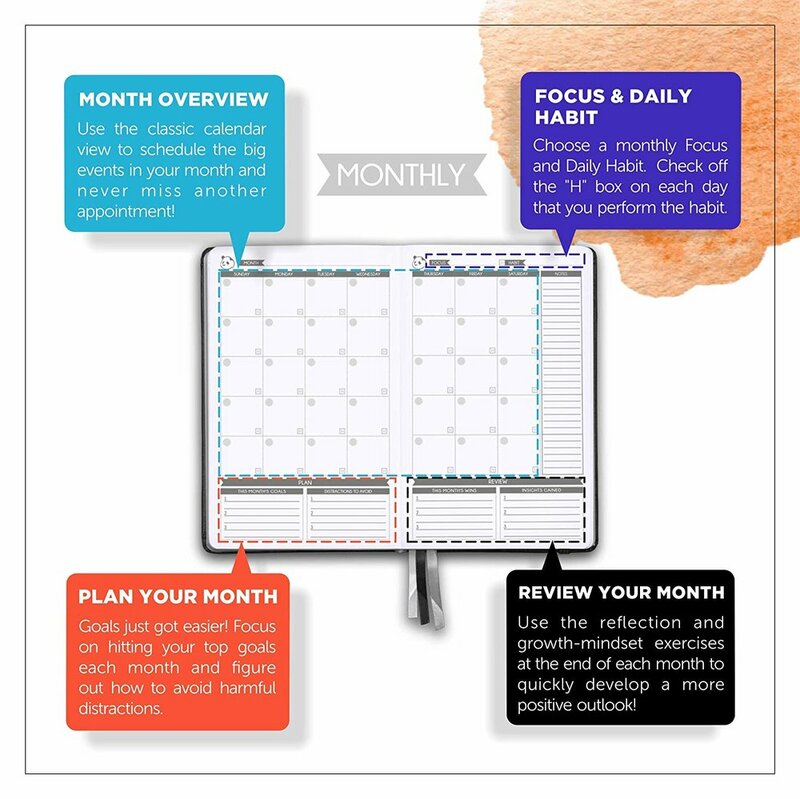 The Panda Planner Classic proves to be very affordable at only $24.97 and the Pro only at $39.97. Overall, if you’re struggling with focus, goal setting and are unsure of what tool you might need to help you find some peace and structure, the Panda Planner is a great buddy to have on hand to help you out! You can get your own Panda Planner Classic here and the Panda Planner Pro here. This week I wanted to take the time to share on a subject that I believe needs to be discussed more and taken much more seriously in our society and in my social circles. And that is the subject of mental health, specifically regarding the various forms of depression and anxiety. More people struggle with these issues than we know and it’s time we all talked about the elephant in the room. I’ve searched high and low for ways to manage these two illnesses in my life after realizing there wasn’t a “fix all” solution that would magically make it all go away. Surprisingly, my planner, has helped me realize that it’s more of a balance and combination of several solutions. This seemed odd, to me at first, since aren’t planners supposed to make you uber productive and vigorous? Which seemed like the last two things I seemed to be able to do in my lowest lows. But planners are so much more than being productive. More than anything, they’re about living your life by design and empowering you to make space for what matters. So I wanted to take the time to share the “aha’s” I have had through using my planner in this aspect. As a disclaimer, I am not a licensed therapist. Any and all advice or thoughts I share here are purely my own that have been formed through my own experiences. I so recommend that anyone who is struggling with their mental health to seek out a licensed therapist through psychologytoday.com in your area that you can trust to walk you through processing and healing some of these illnesses. If finances are an issue, many therapists offer sliding scale fee options (it’s all based on your income and usually very affordable) or can direct you somewhere where you can get affordable help. It’s also becoming more and more common that insurance providers do cover general therapy, so be sure to check with your insurance too! I LOVE THERAPY and it has helped me so much. If you find yourself having thoughts of harming yourself or even others, please, please contact the National Suicide Hotline and find some relief. They now have a live chat feature as well if you don’t feel well enough to make a phone call. The first way that my planner really helped me with depression and anxiety is through tracking good days and bad days discreetly. There’s several ways you can do this. One idea could be through the monthly layout in your planner and circling dates that are good days and then maybe using a triangle for days that are bad days. I also try to write down things in my planner that are good memories or even if there’s something really bad or hard that happened, I stil try to track it. That has helped me see that I have patterns that contribute to my mental health in good and bad ways. If I don’t get out of the house at least every other day for example, then I tend to get really low and have multiple bad days in a row. If I get to the gym consistently, spend lots of time with friends and family, then I began to notice that I had a lot of really good days in a row. When I was in high school, I used to look at my giant desktop pad and find something to look forward to that week. Whether it was youth group or a basketball game, I would always tell myself, “two more sleeps until XYZ!” I realized that just because I wasn’t in high school anymore didn’t mean I couldn’t do that again! Actually, I realized I should all the more do that because being an adult is HARD. So on Sundays I would work on finding at least one thing in my upcoming week that I was looking forward to and excited about. It really helped me to keep going and push through some hard moments. It also made me realize that sometimes I would look at my upcoming week and wouldn’t have anything planned or committed to that I was particularly excited about. So that would set me into action with making plans with a friend to go see a movie, go hiking, etc. The last thing that has helped me immensely is making my planning FUN! My planner is wild and colorful and sure, some may think it’s tacky, but I think it’s cute as heck. I love looking at my planner and it’s a happy place for me to be. Make your planning your own! Maybe you could add doodles for upcoming work meetings. Or you can add a funny quote or inspiring song lyric each day. 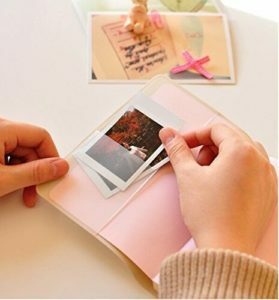 This is initially what drew me to planning, was seeing all these amazing, fun, super cute planning spreads on Instagram that made life so fun. It also helped me realize that I wanted to fill my days with things I loved doing and spending time with people I love. You’ve seen it before on Instagram. . .
You’ve heard your super organized friend mention it over and over again. . .
Maybe you’ve looked it up before and decided that the seemingly complex system just wasn’t for you? Today I wanted to break it down for you and help you see that you don’t have to do bullet journaling any one way. ? In fact, the most successful planning systems I’ve seen successful people use have been pieced together from various systems they’ve tried over the years. And bullet journaling has a lot of simple concepts that you can pull from to help you in your everyday planning. > The more than sign is then put over at the end of a bullet at the end of a day that represents a task that you migrated to your task list for tomorrow. Womp! Nah, it happens to all of us! x An x over your dot simply means that your task is accomplished! Yasss queen! There’s more to this if you want to get really complex with it! You can read more about the signifiers on the official bullet journal website here. Ok, so the task system is the meat of the bullet journal. But these next few pieces are what ties the entire method together. The Index should be on the first few pages of your journal or notebook. It basically acts like a table of contents and reference point for your journal. So if you want to remember when you went to New York City for vacation and what you did there, you put those page #’s here. On the next two page spreads, you’ll separate them into 3 different sections on each page. These should add up to 12 different sections for each month of the year (snazzy, huh?). Here is where you can put birthdays, anniversaries and big events you have throughout the year. It sort of takes place of a yearly spread in a normal planner. The next set of pages will be an entire page spread devoted to one month. On the left-hand side, write the month at the top and then write the date of each day down on the left-hand side. Some people like to know which day of the week each day is, so next to each day you can write the first letter of that day (M for Monday, Th for Thursday, F for Friday, etc.) So each date will look like: 23 – Th. Here is where you can use this as a monthly task list to brain dump dates on the left-hand page and then write corresponding tasks on right-hand page. And that’s pretty much it! So as you can see, it can be really overwhelming at first and some people find it too complex to use the entire system. I’ve adapted the task list portion of it for my every day use and find it really easy to track! I’ve tried to do the entire system before and honestly, was not a fan of how much time it took me to set up each portion. I am a huge fan of planners with neat, minimalistic layouts that give me pieces of my day to organize and bullet journaling required me to do a lot of work to incorporate that element into my planning. See my YouTube video below where I check out my FAVORITE journal and notebook of all time, the Leuchtturm 1917 Hardcover Dotted journal and talk a little bit more about bullet journaling! What do you think?! Could this be a system you use? Or pieces of it you’ll steal for your own planning? I’m all about begging, borrowing and stealing pieces of systems to create what works best for you! If there’s one thing that’s overlooked about choosing a planner, it’s definitely choosing one that you will want to carry around. I was so happy when the planner world exploded because we have more options than ever on what planner to choose! 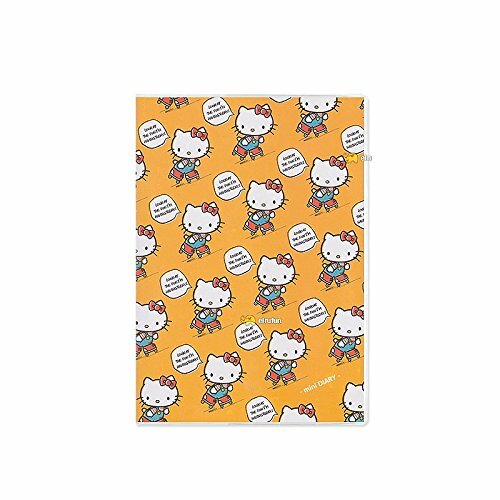 As a girl who can’t get enough of cute stationery supplies and planner supplies, I’ve come across some absolutely adorable planners! 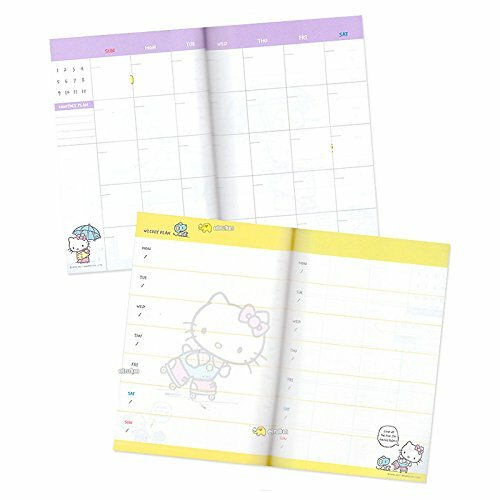 The thing is though, is that sometimes these cute planners can be quite spendy. ? But have no fear! As a fellow girl who is also on a budget, I’ve come across some ways you create a super cute planner you LOVE using and love to show off when you carry it around. AHHHH. I flipped out when I saw these! I am a HUGE Studio Ghibli film (My Neighbor Totoro is my all time favorite movie) and was so excited when I stumbled across these on Amazon (Prime baby!). They not only have Kiki’s Delivery Service but Spirited Away and My Neighbor Totoro as well! Isn’t this so cute?! This little guy is from a company in Korea but available via Amazon Prime too. It’s undated and comes with matching stickers! It’s perfect for carrying in your purse and keeping on your desk when you’re on the go. I used this a while back for our budget and absolutely loved it! 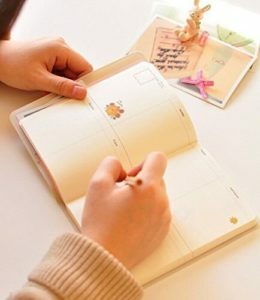 It’s a minimal planner, but very cute! Ok. if we’re being honest I am a bit of a nut when it comes to Hello Kitty. I even have a tattoo of her on my left forearm. So this little guy is way cute and again, Amazon yo! This would be perfect for your budget, meal plans, family activities and even planning out content for your own blog! It’s undated which is great because as soon as you get it, you can start planning and using it at anytime! 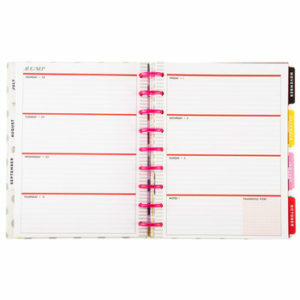 If you love the feeling you get from being able to pick up and look through a planner before you buy it you are in luck! 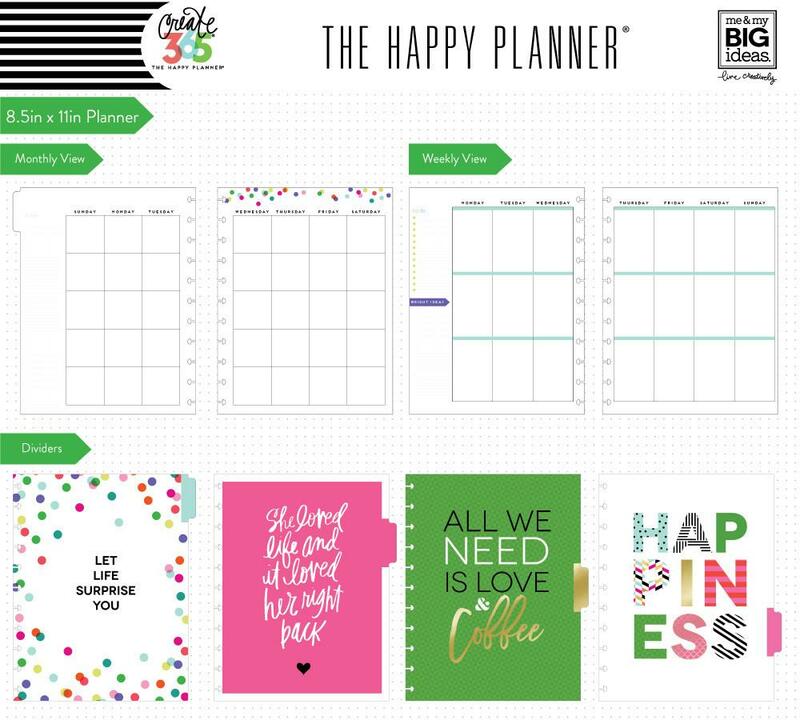 If you head down to your nearest JoAnn Fabrics, Hobby Lobby and Michaels they sell these gorgeous, fun, whimsical, and simple Happy Planners! If you use their 40% off coupon (you can find it online on their websites and use it on your phone, or in your local newspaper flyers too) you can get a discount on them both in-store or online. Often this coupon (most stores will only let you use them on full price items) will knock the price down significantly and make it more affordable and maybe so you can even get some stickers, sticky notes, and bookmarks that match! Can we just take a minute to thank the good Lord for Target’s Dollar Spot?! They have loads of crazy adorable planner supplies! This video did a great job showing the variety and amount of planner supplies Target sells and for so cheap too! Every time I walk in I have found tons of not just really awesome stickers and planner accessories, but actual planners themselves! YAS QUEEN. They usually sell inserts as well. So you can walk out Target with a planner, inserts, accessories and more for easily under $20, if not $15. Amazing! I hope this was helpful to get you to see that you don’t need to spend tons of money to create/have a planner you love and that you love planning in. There are tons of options out there that can help you plan out your life and create the lifestyle you want to live! Can we please talk about an extremely detrimental mindset that we all struggle with? It’s something that is ever apparent at the beginning of the year especially when we’re all eager to change our lives and get things moving. We get PUMPED and are chomping at the bit to make change happen. It’s the all or nothing mindset. So, maybe this is you and you’re cringing at the thought of yet another, unused planner. I’ve identified a few ways to help you actually use your planner. I knew for so long that a planner was a powerful tool that could help me be intentional with my life and give me peace of mind that I was getting the right things done. We all have routines, (whether we intentionally think about them or not). You have an order of getting ready for bed (wash face, floss, brush teeth, take vitamin, sleep). 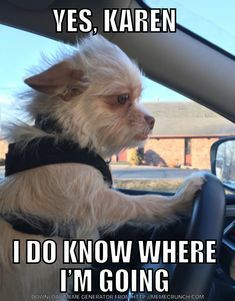 Or when you get in your car (get in, set down stuff, put water bottle in cupholder, turn on heat/AC, turn on radio, and go). Begin to think about making reviewing and writing in your planner every day. I plan my day in my planner in the mornings, right after I’m done doing my morning devotional time and reading. Then at night, I review it and write out thoughts, ideas, or reflections that I had that day. What time of day do you have a routine that you can take 5 minutes to write in it? For me, this is on our TV tray in the mornings right where I have my Bible and devotional book. Right after I’m done with my devotional, it’s right there reminding me to look at it. I then write out my top 3 priorities for work and my personal life and any other pressing tasks that I want to get done. Maybe for you, this is your bathroom counter so when you’re getting ready in the mornings you’ll be reminded to write in it while you get ready for the day. Or maybe it’s your kitchen table so when you eat breakfast you can sit down and plan out your day. For some, they leave it on their desk at work so it’s right there, waiting for them when they start their workday. Make it messy people! Your planner is for you and you alone. I love that my planner is my own little world where I get to reflect, ponder, dream, create and write without judgment. I make it cute, so it’s cozy for me to look at it and write in. I’ve heard people say, “I’m so scared to mess it up! What if I miss a day? 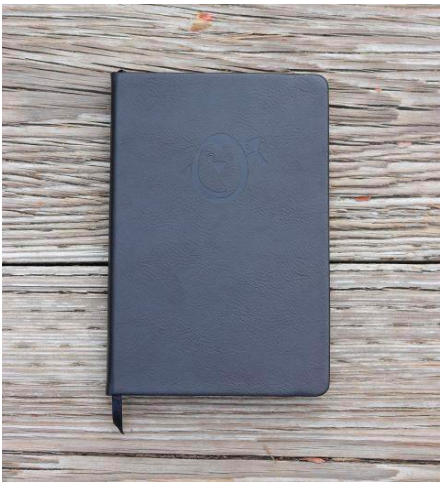 !” But that’s the beauty of a planner is that gives you a clean slate every single day. (Just like we get in life!) Who cares if it’s messy at first? In fact, you’re going to mess it up, because you’re a human being. We learn from our mistakes. So you may see that you really loved a habit tracker, but you found the top 3 exercise daunting and overwhelming. That’s ok! Pick and choose what works for you. I hope this encourages you, friend, to keep planning and never give up. Your life is worth living and being intentional with. You have things to create and people to meet. Let your planner help you get there! Yuussss you heard that right! There’s a company called MochiThings! Mochi is a delectable rice cake type substance that most people in America recognize from frozen yogurt shops! 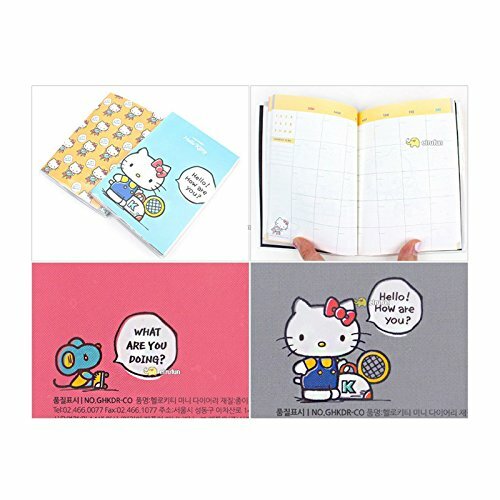 MochiThings is a Korean office supplies company I stumbled a few months ago and I have been drooling over their products ever since then (like this SUPER cute wallet!). One thing that really sticks out to me about their products is that they are functional, yet cute. They are based in Seattle and I have found their shipping to be lightning fast! Their customer service is phenomenal and they were so kind. I reached out to them about partnering for a review of the Brilliant Weekly Planner and they so generously said yes! First things first, I ADORE what the front of this planner says. “Luck is what happens when preparation meets opportunity.” How true is that? Let’s focus on the things we can control and be the best in those spaces and the rest is out of our hands. That’s a great message to see before you open this cute little guy up. One thing to be aware of with this planner is that it is on the smaller side. It’s a PERFECT size if you want something that has a weekly layout, yet isn’t too bulky to carry around. It’s totally the type of planner you can stick in your purse or backpack on the go. I chose the pink version, however, they have these planners in multiple types of colors and it’s definitely a gender-neutral option! The outside cover is brilliantly sturdy and tough. I tried scratching it with my fake, acrylic nails to see how it would hold up and there were no markings at all! 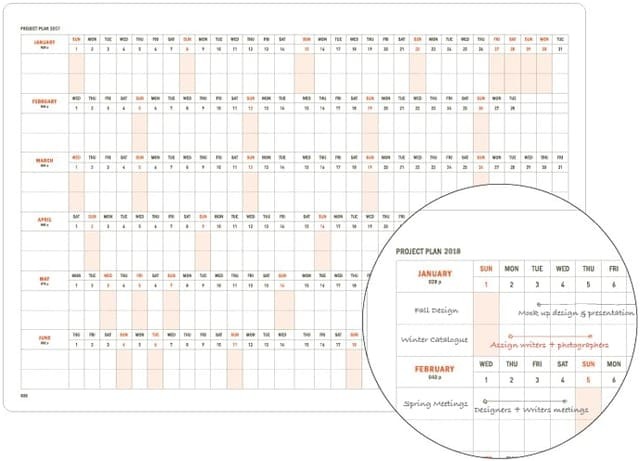 The one thing that makes this planner stand out from others, is definitely the Project Plan piece of it. At the beginning, it has a 6-month layout for one half of the year and then the next page spread is the last 6 months of the year. Then, each month it has a monthly update section. How cool is that?! And then the weekly layout is unlike any I had ever seen before. I love the big box at the top of each day and then the checklist underneath. Perfect for tracking big appointments you might have that day that you can put in the box and then making a list underneath! The top space would be great to use for a weekly quote or what your top 3 priorities are for that week. And lastly, there is TONS of graph paper in the back section of this planner for notes, lists, things you want to remember, etc in the Free Note section. Of course, I did a YouTube video review that’s more in depth. Check it out below! Allow me to be a little vulnerable this week. A few weeks ago, my timehop on Facebook popped up showing me some memories from a few years ago. Back when I was in college, I was planning a wedding, working full time (between 2 jobs) AND going to school full time. Wow. I don’t miss that time in my life at all. I have changed so much. My life was a mess. I was exhausted in every way. Physically. Emotionally. Mentally. Spiritually. And eventually, the wear and tear I did to my body would catch up to me over time. I became really depressed. I was incredibly unhappy and even physically my body never felt good. The thing is, is that I knew I was going nowhere, but I was going there FAST. But the scary thing is that it wasn’t going to be over. I just. Kept. Going. I piled on job after job onto my schedule ignoring my husband begging me to rest. I had to keep up, pay bills, get ahead, save money, go here, work there, thinking eventually I would be at a point where I could drop something. I was too scared, afraid, nervous to sit down, be brave and ask myself, where am I going? Why am I doing this? What do I want my life to look like in 5 years and what will it take to get there? But the thing is, when we’re juggling 10 things, we’re probably dropping 2-3 of those things often throughout the week or the month. I fully believe we are just not designed to have our head in 5 different places at once. And when we do, it doesn’t last for long before somethings gotta give. In an interview, Bill Gates & Warren Buffet sat down and were asked the same question, “In one word, what would you say is your secret to all your success?” Without any prompting or hesitation, both of them quickly responded, “Focus“. To be completely honest, I still struggle with “going nowhere fast”. But my planner has helped me find white space and room. It’s helped me create boundaries and more than anything, it’s helped me carve out time into my life to reach goals and do the things I want to do (like hanging out with you guys!). I truly LOVE my life now and I’m so passionate about planners because planning has helped me become a better person and my planner allowed me to dream again. How do I keep my house clean? I have time blocked off each week to clean and do basic chores. Very few things are allowed to interrupt that time. I’m very intentional about it because I know my environment affects me in more ways than I know and I can’t focus unless my house is in order. It’s a value of mine. As you can see, the intentional mindset can apply to any part of your life. But there’s no need to reinvent the wheel. It can be overwhelming when you’re first starting out using a planner. As I was drifting along, I stumbled up an exercise I found through Michael Hyatt that was a total game changer. It’s a simple task of sitting down to block out time and to create your ideal week. We all know you don’t lose weight by going to the gym one time and eating a salad for lunch one day. No, it’s week after week, day after day, making better decisions, choosing to go to the gym for 45 minutes instead of scrolling through Instagram. This exercise can help you see where you need to cut back on commitments, what’s really taking up a lot of your time and where you can sneak in tasks even that you really want to get done. 3. Analyze it. Do you need more white space? Do you have a lot of white space you can fill with things you want to be intentional about? 4. Live, tweak, repeat. This will not be perfect the first time you make a go at it! The ideal week WORKS because your time is focused, you are focused and you don’t feel guilty for working on something because you’re neglecting another. You probably have time blocked out to work on that other task! It’s so helpful. So tell me, what do you think about the ideal week? Have you ever heard of this? Will you try it using this worksheet I made for you? Let me know in the comments below! This week wraps up a 3 part series on how I use and utilize my Hobonichi for everyday planning! This week we are focusing on the daily layout section. If I’m being fully honest, I have a few key things I drop in my daily layout but other than that, it’s a free for all! Each morning a part of my morning routine is to write out my PUSH goal at the top of the page for that quarter. I also write out a Scripture at the bottom of the page that I want to be reminded of that day. These Scriptures I usually pull from the ones assigned from the Jesus Calling devotional. I truly am not one of those folks that feels the need to plan out every single minute of my day. That type of planning stresses me the heck out! Besides, my daily routine is pretty much the same day to day with a little bit of variance depending on the day of the week. If I do have an appointment, I often will write that down in the small hourly section on the left hand side of the daily layout and plan my day around that building block. I often will also write out my top 3 tasks that I absolutely have to get done that day. Those tasks are the ones I usually work on first and get out of the way. The rest of my list is just icing on the cake. A few other pieces I include are my husbands work schedule (we only have ever had one car our entire marriage, so I need to take him to work and plan on picking him up! ), what I plan on doing for a workout that day and then what I plan on making for dinner. Those all go at the bottom in their own special place. You also will find that I leave room often in my daily layout as a catch all. From budgeting to notes to some catchy song lyrics I need to get out of my head, I like having some breathing room to write it all down. That wraps up this 3 piece series! hope this helps you see that there is no “right” way to use your planner. You are the only one who uses it, sees it and cares about it. So make it your own and do what works best for you. And here is a YouTube video going over my entire planner system too! That’s because I firmly believe that a planner that’s right for one lifestyle may not be suited well to another. It’s OK to get discouraged and overwhelmed at all the planners at there, but I firmly believe that if you don’t give up and you keep searching, you WILL find a planner that’s well suited to you and can you help you get organized. Lets start with the two types first. Now that you’ve viewed some options, which planner do you think can suit you better or help you stay more on track? I’d love to hear in the comments below! And don’t forget, once you’ve purchased your planner, don’t forget to sign up for my 5 day free email course on getting started! 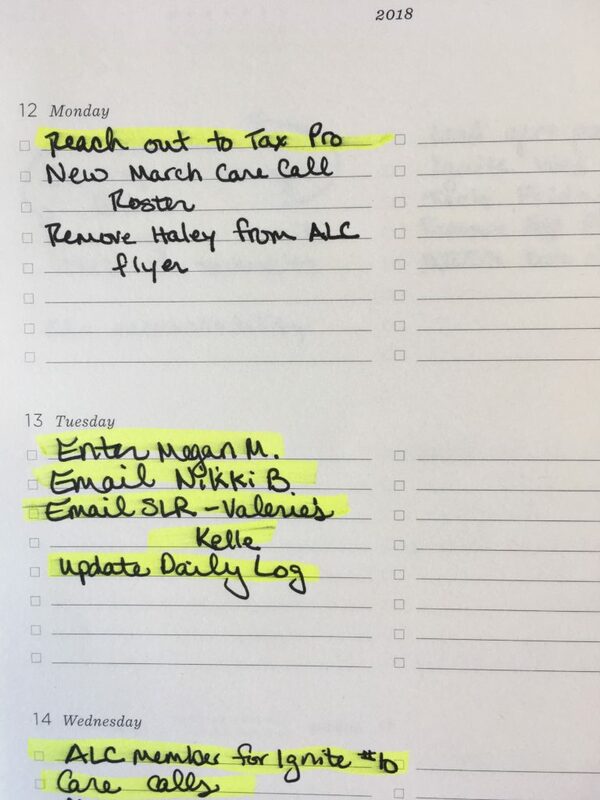 Planner Review: Chalene Johnson’s PUSH Journals! 2019. Is. All. Most. Here! I can’t wait! It’s going to be an incredible year. With a new year brings lots of goal setting and sometimes goal setting can be really, really hard for some people (like me!). A few years ago Chalene Johnson released her book PUSH that has a 30-day system walking you through her goal-setting process that she’s taught for years. She finally made some journals to go with it! I went ahead and did a video review of them, which you should note – are the old version! She just released a new set that took into account all of the customer feedback she got on the first round of journals. 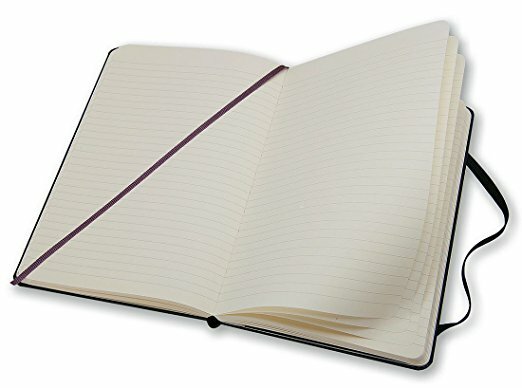 I love these 30 day journals, because they’re undated (she doesn’t want you to feel like if you don’t use it for one day, you need to throw the entire journal out the window), have lots of health tracking options (diet, water, exercise, sleep) and make it so your goals are aligned with your priorities. Sometimes, we set goals but then don’t know where we’re supposed to fit them into our hectic schedules, but Chalene’s system really helps you narrow down what’s out of whack, what needs focus and where you want to grow in your life. I made some adjustments to mine and took it down to Office Depot to see if they could make it ring bound instead of the hard spine bounding. It took about 5 minutes and only cost me $2-$3! The new plastic coils do go into some of the writing, but not enough to bug me or make it unusable. If you are someone who likes to see the whole picture or year, needs to plan things out months in advance, then I wouldn’t recommend these journals for that type of planning. These are a really great option if you’re someone who just needs to take it day by day, but need a guide or system to stay on track towards your health and goals! What do you think? 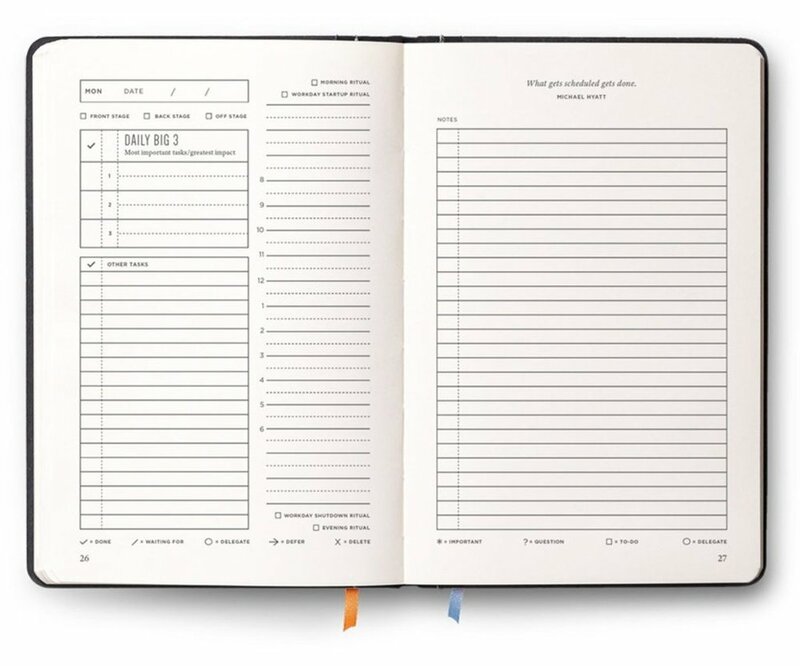 Would this planner help you? What would you change about it?